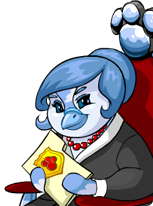 The fifth part of the plot is now available, go to the Petpet Park Mission Headquarters to start. You will see that your fifth mission, Oukin is available. Click on More Information. 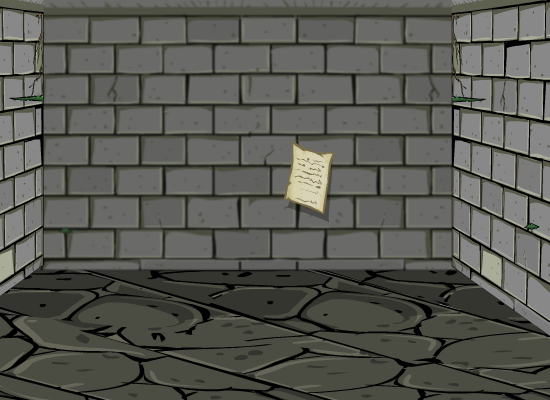 Your assignment is to get the Oukin from the Haunted Woods to the Petpet Park. After reading the comic go to the Haunted Woods.... again to not open a Portal this time, but to find the hidden Oukins in one of the many tombs. Oukins are normally tranquil Petpets, but their warning shriek can call other Oukins to their aid, making them quite a force to be reckoned with. Things are getting worse, Agent. 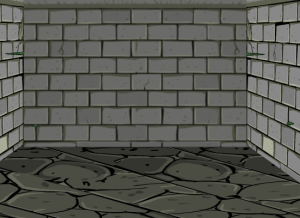 Yurius has hidden away the Oukins in some of the Haunted Woods' many tombs. 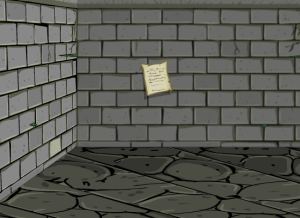 You must find those Petpets before they are harmed and get them back here to the park. You will be taken to the Haunten Woods and get to read a conversation between the 3 agents and the Caretaker. What? No, I just had to tie my shoe. Give me that back. Now, what is it you want? We need to find... um... a specific tomb. Mind if we look around? Long as you don't disturb anything! You never know what kind of ghosts and zombies might be lurking around here. I really hate the Haunted Woods. It looks like it already closed!... What's this? 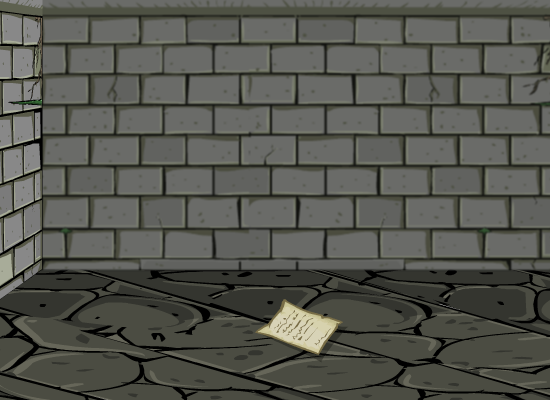 A note? It's from Yurius, I'll bet! What does it say? It must mean we should search the tombs of the Sausage family! But which one should we try first? Click here to see what happens when guessing the wrong answer. Click here to hide what happens when guessing the wrong answer. Where are we? This place is confusing. Is this the right tomb? The correct answer is Gerald, after answering you'll see a note on the floor. I think this must be it! Urghh...! Got it! These things are heavy. Oh no! Was it a trick? So... the answer is some kind of food? And then we have to find the tomb of a person with that name, I bet! Click here to see what happens when answering incorrectly. Click here to hide what happens when answering incorrectly. We should have turned left at that oak tree. We'll have to keep looking! The correct answer is a food with a D, Doughnut. This looks like the right place! Stand aside while I open the door! I hope we're not too late! Darn it! Yurius is really getting on my nerves! And there's another note! How long is this going to go on? I don't know, but they certainly have something to do with the riddle! Can you figure it out? We're running out of time! The correct answer for this puzzle is Harold, you get it by removing the names of the brothers from the letters which leave you with L D A H R O. Unscramble it to Harold. The Oukins look happy to see us! But Yurius almost hurt these poor creatures! If he keeps this up, someone's going to get seriousy injured... or worse. We'd better get in touch with Mother Bruce quick. I don't think we'll have much time to rest. After this you must return to the mission headquarters. You're then done with mission 5, one more mission will follow later. Weltrude will tell you you're done with this misison. Thank goodness those Oukins are all right! Yurius's antics are becoming intolerable. 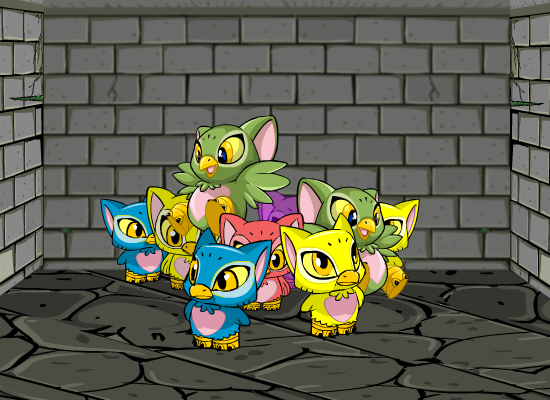 Putting these meek little Petpets in danger like that! How awful. We'll have a new mission for you soon, and hopefully we can put a stop to Yurius and his evil shenanigans once and for all. If you click on check status on the left, you will see that you have completed 5 out of 6 missions.